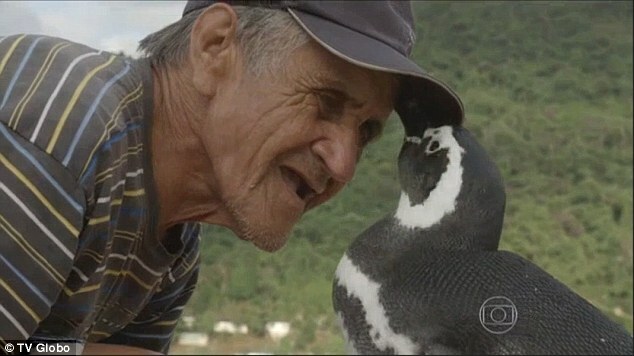 Home Animal/Pet world Brazil Penguin Photos: Penguin pays regular visits to Brazilian Man Who saved it. 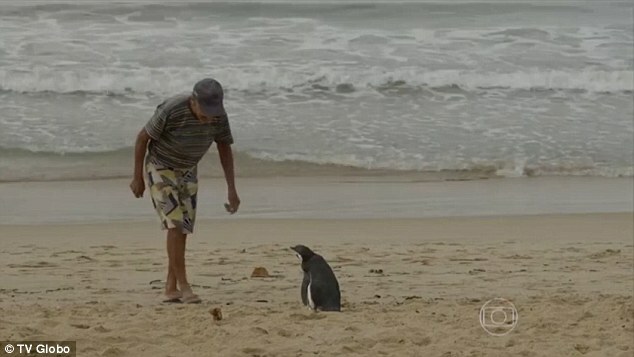 Photos: Penguin pays regular visits to Brazilian Man Who saved it. It took him a week just to clean the sticky black residue from the bird's feathers. 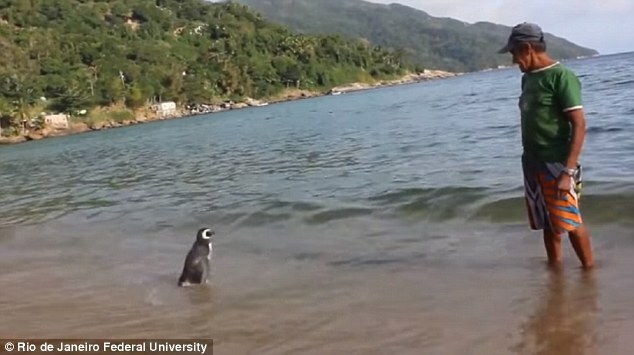 When Dindim was well again Mr de Souza released him back into the sea, never expecting to see his new friend again. 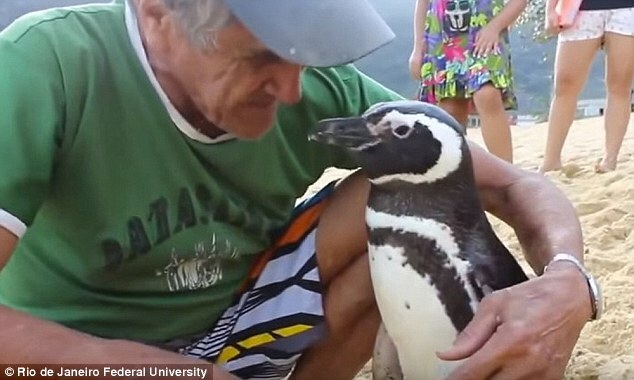 He was astonished when, just a few months later, the penguin returned to the island where he recognised Mr de Souza and returned home with him. Now, Dindim spends eight months of the year with Mr de Souza and spends the rest of his time breeding off the coast of Argentina and Chile. 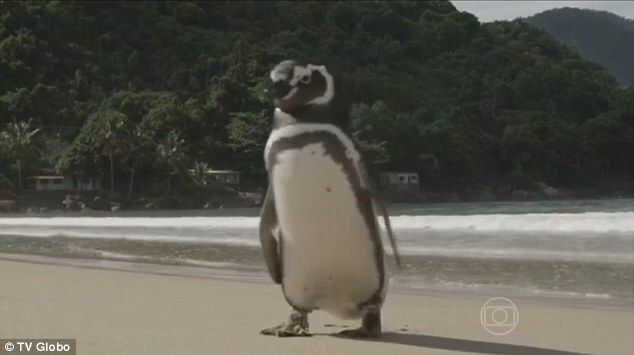 The flightless bird is believed to swim around 5,000 miles everytime he returns to Mr de Souza. 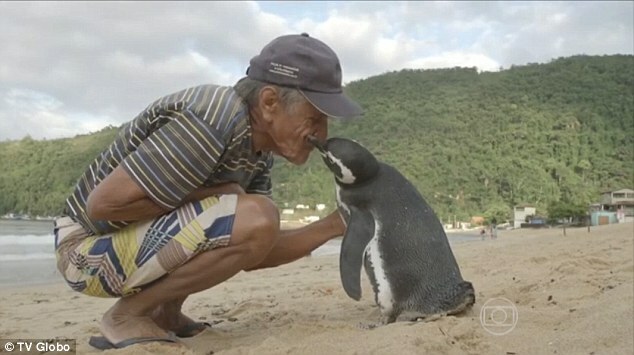 'I love the penguin like it's my own child and I believe the penguin loves me,' Mr Pereira de Souza told Globo TV. 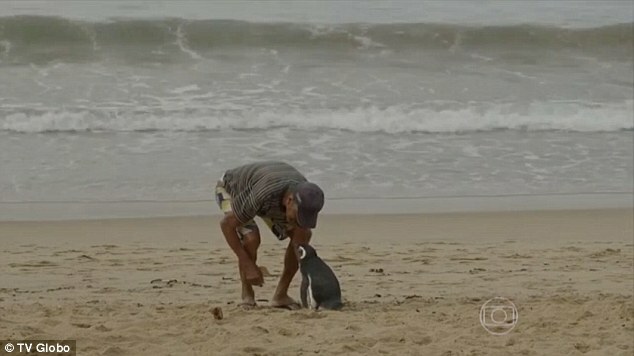 Mr Pereira de Souza said he fed Dindim a daily diet of fish to improve his strength then took him back to the sea to let him go.